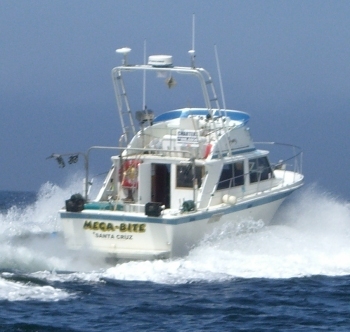 MEGA-BITE is a VERY COMFORTABLE 32’ Uniflite Sport Sedan with 160 square feet of enclosed cabin to keep you warm and dry. Her twin Go-Green GASOLINE 5.7 liter 315 horsepower Vortec engines (that's 630 HP!) provide for a very smooth, reliable and when needed, fast ride up to 30 mph. And, because she's gasoline, you don't have to choke on diesel fumes all day. In fact, you won't even notice the exhaust at all! 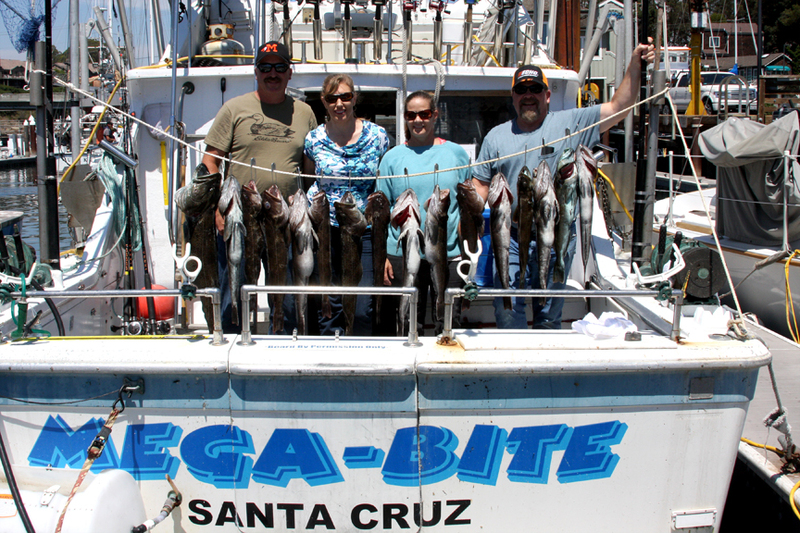 We are also the only charter boat in California that prohibits any smoking of any kind. We figure if we're going out to the pristine ocean air, it would be nice to be able to breath it. 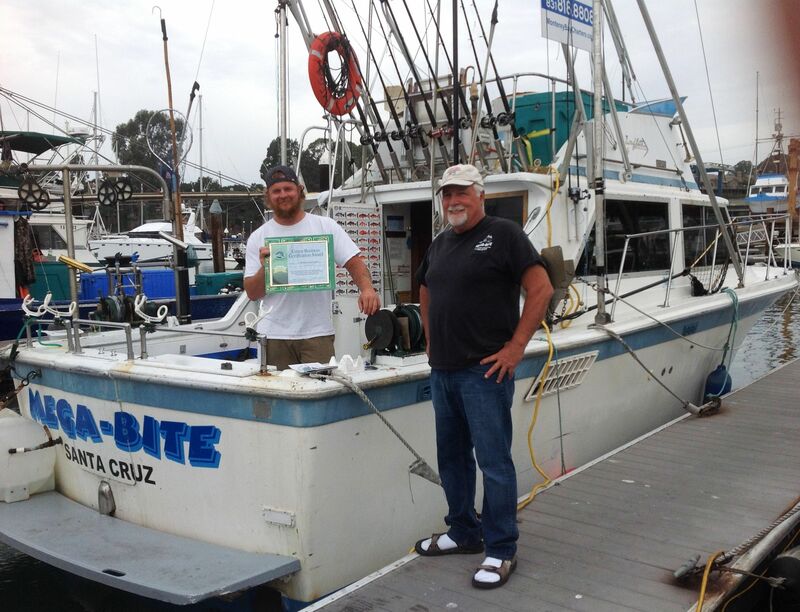 We are a Monterey Bay Certified Green Business!